This website is provided by SARL Leggett Immobilier, 42 Route de Riberac, 24340 La Rochebeaucourt, France. 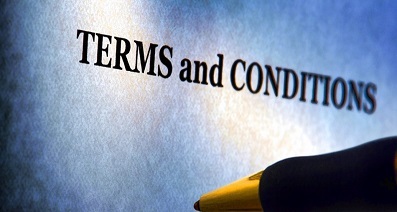 By using this website you consent to the terms and conditions below. Whilst reasonable care is taken to ensure that the information contained on this website is accurate, we cannot guarantee its accuracy and we reserve the right to change the information on this website (including these terms and conditions) at any time without notice. You must check these terms and conditions for changes each time you intend to use this website. Leggett Immobilier provides this website on an "as is" basis and makes no representations or warranties of any kind with respect to this website or the content contained on it (including any text, graphics, advertisements, measurements, links or other item) and disclaims all such representations and warranties. Opinions expressed on this website are not statements of fact. In addition, neither we nor any other contributor to this website make any representation or give any warranty, condition, undertaking or term either express or implied as to the condition, quality, performance, accuracy, suitability, fitness for purpose, completeness, or freedom from viruses of the content contained on this website or that such content will be accurate, up to date, uninterrupted or error free. Nothing on this website shall be regarded or taken as financial advice. The copyright in this website and its content belong to SARL Leggett Immobilier. You may not make a permanent copy of or reproduce this website or any of its contents in any form. You may not reproduce or incorporate this website or any of its contents into any other website. You may only print or cache temporary copies of the content for your own personal non-commercial use. Leggett Immobilier welcomes links to this site from relevant third party websites. However, if requested in writing by Leggett Immobilier, links must be removed within 24 hours. Leggett Immobilier and the Leggett Immobilier logo are trademarks registered in the name of SARL Leggett Immobilier in France and other parts of the world. Reproduction of these trademarks other than in order to view this website is prohibited. Nothing on this site should be construed as granting any licence or rights to use or distribute any site content without express written agreement. This website contains links to third party websites over which Leggett Immobilier has no control. Leggett Immobilier assumes no responsibility for the content of third party websites or for any losses which may arise out of use of a third party website. The presence of a link to a third party does not necessarily mean that Leggett Immobilier endorses that site or has or has not any association with the proprietor of that website. Leggett Immobilier takes the security and privacy of those of its clients and contacts about whom it holds personal information extremely seriously. We follow strict security procedures in the storage and disclosure of personal information given to us in order to prevent unauthorised access. Personal Data is held on our contacts and administration database either because of work we have undertaken or are currently engaged in, or because our clients have indicated that they would be interested in receiving material from us about our business and services. To that end we hold client contact details and the history of our client relationship. This allows us to manage our client relationships effectively and target items of interest so that clients do not receive unwanted material through the post. In accordance with their rights under the Act, clients may request the amendment of the personal information held and to cease receiving direct marketing materials. Leggett Immobilier does not sell, rent or otherwise deal in the personal information we hold with third parties. Information may, in the ordinary course of business, move between ourselves and our contractors, which may involve the transfer of data outside the European Economic Area and by using this website you consent to such transfer.